New Delhi: Bihar chief minister Nitish Kumar has ambitious plans for the eastern state, where he led a coalition of his Janata Dal (United) and the Bharatiya Janata Party (BJP) to back-to-back electoral victories in 2005 and 2010 on the plank of boosting economic development. Kumar spelt out his expectations in a speech last month at a meeting of the National Development Council (NDC), which is headed by Prime Minister Manmohan Singh and includes Union Cabinet ministers, state chief ministers and bureaucrats from the Centre and states; an important pillar of the federal structure, NDC has to approve any planning process in the Centre and states. “Bihar has shown a considerably high growth rate which has been achieved because of good governance and sound policies over the last six years," he said in a speech that focused on development in Bihar and initiatives taken by his government to boost the economy. Indian states are competing for a greater share of Central outlays as well as for private investment and becoming more assertive about their right to exploit their natural resources. 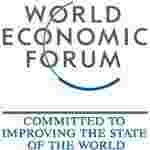 How states can define new frontiers of competitiveness is a topic of discussion at the World Economic Forum (WEF) conference in Mumbai that’s focusing on sustainable growth. “Kumar was really vocal. From his tone it was apparent that if he were given the requisite funds he will make sure that Bihar leaves the batch of least developed states," said a senior Planning Commission official who did not wish to be identified. A National Competition Policy is being now drafted. The policy is aimed at promoting more transparency in government procurement, award of contracts and commissioning of public works. “A concrete competition policy will further help states bring in efficiency within their machinery," said Dhanendra Kumar, chairman of the Committee for National Competition Policy. “Under the draft policy we have asked the state governments as also sub-states authorities to review their policies so that competition is enthused, which will lead to increase in state domestic products." Gujarat chief minister Narendra Modi was another chief minister who showcased his state at the NDC meeting. “Gujarat is committed to stay in the forefront of development and be the growth engine of India," Modi said. “With 5% of the country’s population, Gujarat contributes 15% of industrial production and 25% of exports with our ports handling 80% traffic of minor ports..."
Gujarat attracted Tata Motors Ltd to set up a plant in the state to manufacture the Nano small car after the auto maker decided to leave West Bengal amid protests over land acquisition. Maruti Suzuki India Ltd, India’s largest car maker, has also chosen to move to Gujarat to set up its first plant outside of northern India after facing serial strikes by employees in Haryana. “Industry-wise Gujarat has been doing very well for almost 25 years now. Each district has 15,000-20,000 industrial workers and the State has been growing at 8-9%," said Y.K. Alagh, economist and chairman, Institute of Rural Management Anand. Alagh added while the 1990s was the decade of industrialization, it’s now the turn of agriculture in Gujarat to prosper because of plentiful water generated through the Sardar Sarovar project. “Although it is largely driven by paddy and wheat and less by commercial crops, except BT Cotton, agriculture is growing by 6%, double the national average," says Alagh. To promote Gujarat, the state has signed up actor Amitabh Bachchan as its brand ambassador. States are also getting increasingly assertive about their assets. For instance, Arjun Munda, Jharkhand chief minister, has sought royalty rates as high as 20% from the Centre for extraction of coal, iron ore and other minerals. 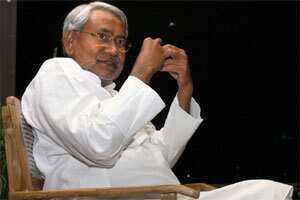 Nitish Kumar, Modi and Munda are also trying to encourage competition through efficiency. The Planning Commission, in the 11th Plan document, proposed that the Centre financially assist states in adopting a business environment that will be in line with a National Competition Policy. “State government have to change their laws, procurement policies and processes in such a way that they are in line with the national competition policy and the Central government can accordingly incentivise them. We should not forget that a good infrastructure such as electricity, roads, even land acquisition policies and mining policies help bringing in competitiveness as they enhance efficiency," said Vinod Dhall, former acting chairman of the Competition Commission of India. Experts also feel some states such as Bihar and Gujarat owe a lot personally to their chief ministers. “CMs (chief ministers) have been able to centralize power and are using it for the larger good than short-term personal gains. Both Modi and Nitish Kumar have a chance to go higher in politics and this provides them the necessary incentive, unlike Congress," said Laveesh Bhandari of Indicus Analytics Pvt Ltd, a Delhi-based research firm. Sometimes branding, especially through hiring celebrities such as Indian cricket captain Mahendra Singh Dhoni for Jharkhand, helps. “But only in generating a feel good factor internally. It should not be confused with being good for FDI (foreign direct investment). Sometimes generating an internal feel good is important," added Bhandari.